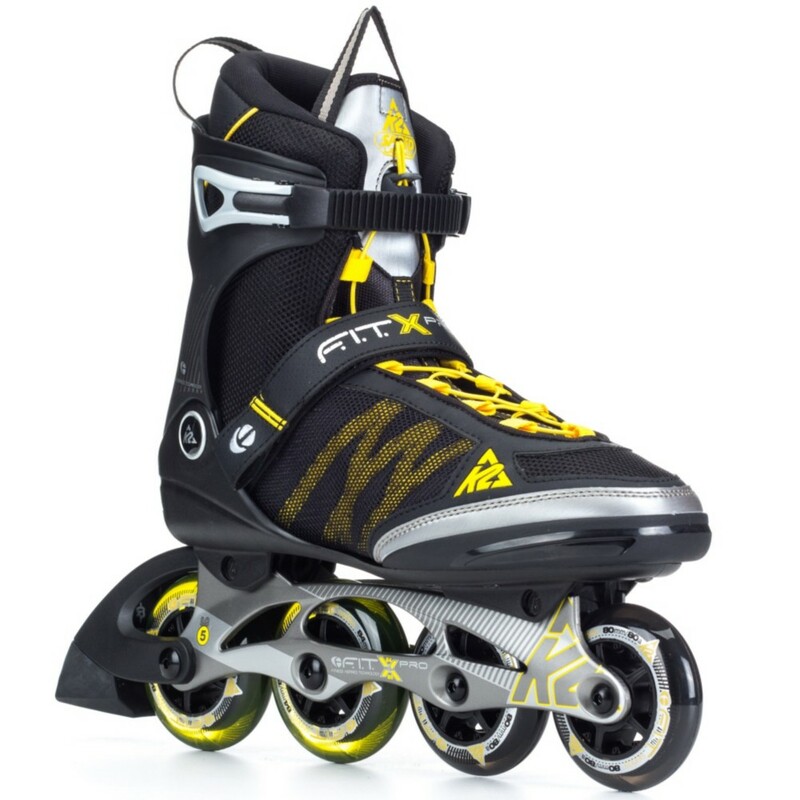 Mike Powell, Skate Guru from K2 Skates and Rob Gill, of InlineSkates.com, review the 2015 K2 FIT X Pro and Alexis X Pro Inline Skates. Hey, welcome to the Daily Spin. I'm Rob inlineskates.com joined today by Mike from K2. Mike, thanks for being here. Hey, thanks for having me. So, we're talking about the Fit X Pro and the Alexis X Pro. Really, really cool skates in K2's lineup. What's kind of the biggest feature with this skate. Well, the biggest feature of this skate and all K2 skates is the Original Soft Boot. And that's how we build our skates. We build them like a high piece of performance footwear and once you put one of these in your feet, you'll find that they fit better than any inline skate every built. For sure. I love the way K2 skates fit. It's really one of the most comfortable skates. Every skate I put on I love. So, let's talk a little bit about the cuff and the closure system on this skate. Okay. So, you've got your Stability Plus Cuff which is going to give you a lot of support which is great for that fitness skater. And then you've got your buckle system here along with K2's speedlace system. So, pretty much you just going to pull on the speedlace, the skate is going to close itself up. It's easy, it's fast and it's one of the best lacing systems out there. For sure, yeah, I really love that lacing system. So, moving down the skate, we're moving into an aluminum frame on this skate and a little different wheel set up too. Yeah, so it's got Hi-Lo Technology so you're taking that aluminum frame which is gonna really transfer all the power you're putting into it. It is the fastest construction of a frame there is when you go with an aluminum frame. And then you get the Hi-Lo wheel so you get 80mm in the front, 84mm in the rear and what that does, it just gets you a little bit of pressure on your toe so you're a little bit in a better skating stance and it's just gonna get you ready for the road. For sure. I have the same type of set up on my hockey skates actually and it creates a very maneuverable skate and with that larger wheel on the back too so keeping a nice high top end speed on it. Yep, best of both worlds right there. For sure. So, who is the Fit X Pro and the Alexis X Pro for? This is for your fitness skater. Those guys out there, ya know, that are going to use skating as a workout method. It might not be their primary but they might go out once, twice a week. Get on the trail, log some miles or they're just skating around the neighborhood with their kids. It's for someone who wants to skate, wants to have fun but skating isn't the focus of their life, it's just something they do and enjoy. Perfect. So, there you have it. The Fit X Pro and the Alexis X Pro from K2. You can check them out on inlineskates.com and thanks for joining us on the Daily Spin..